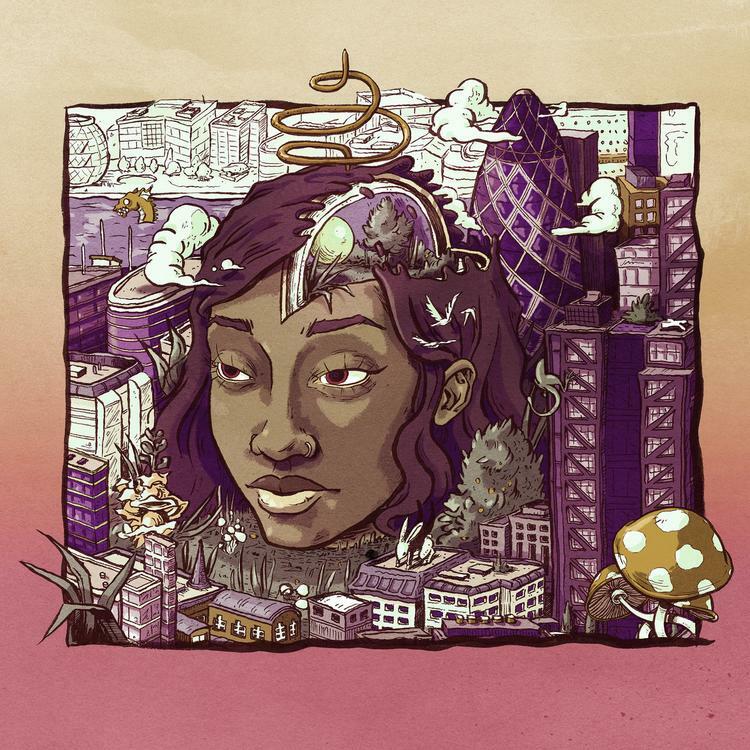 It was last year that UK-based rapper Little Simz dropped off the second studio album of her repertory, Stillness in Wonderland. Arriving in 15 tracks total, the result was a generally well-received and critically-acclaimed effort from the young emcee that has catapulted her into a trajectory that sees her moving toward emerging as one of Hip-Hop’s more promising young talents. Pairing her heightened elevation with the United States’ growing embrace of rap originating in the United Kingdom and a few impressive freestyles later, Little Simz is well on her way to the top spot, and she now returns to add onto the magic of Stillness in Wonderland with a deluxe edition, featuring eight new tracks, and refreshed artwork. The original cover came in the form of an illustration of Simbi with her eyes closed while this new cover art takes the same illustration, brightening up the color scheme with Simz’s eyes wide open—a move we’d like to chalk up to purposeful imagery. This time around, we’re treated to the guest appearances from the like of BADBADNOTGOOD, Hiatus Kaiyote, Bibi Bourelly, Josh Arce, and TDE’s SiR. She’s effectively packaged another project into the album, and we’re not mad at it. Currently, Little Simz is on a tour run alongside supergroup Gorillaz in Europe, going through cities like Oslo, Paris, Geneva, and ending in London with two back-to-back dates in the city’s O2 Arena.